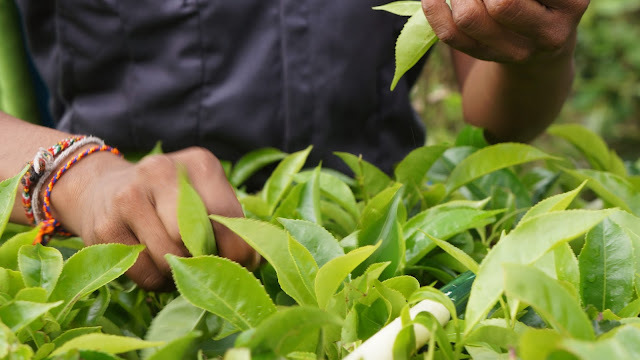 The first part of the tea making process is picking the leaves. Female workers pick about 700 leaves a day, six days a week. Male workers will also pick during the abundant months but as our guide said, they are not as good as the women. The workday for pickers is seven hours and they get three breaks during that time and the leaves are weighed. 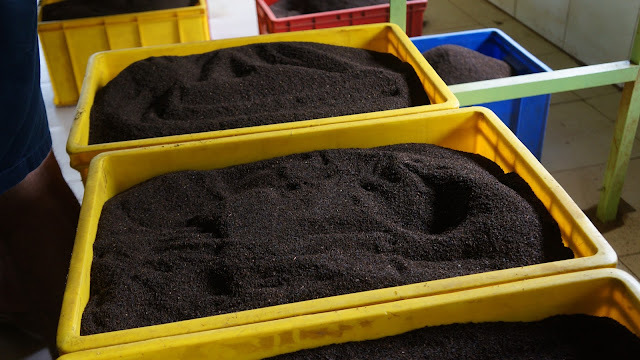 Once the leaves are picked, they are “withered.” The leaves are placed over hot air for 8 to 12 hours. The hot air doesn’t exactly dry the leaves but it removes about 43% of the moisture. The withering process changes the leaves chemically and physically. The leaves are then sifted and move on to huge rollers. The rollers pass over the leaves in a circular motion, rolling the leaves, but not breaking them or tearing them apart. 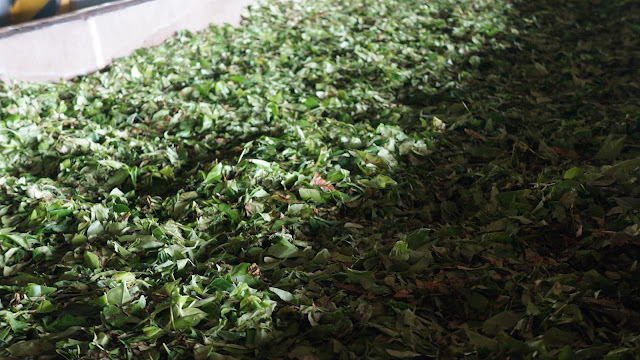 The extracts more moisture and it is spread on the surface of the leaves, supporting oxidation. 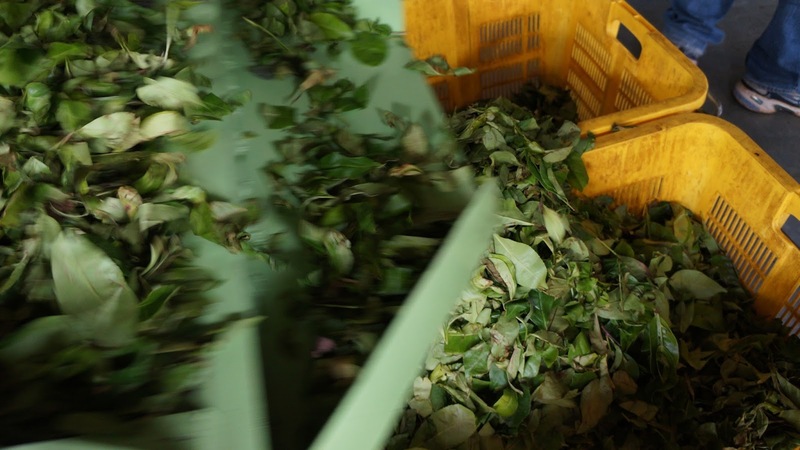 The next steps include sifting again, sorting, and cutting the leaves. They are cut three times during the process with the goal of making fine particles. The particles are then spread out to rest and ferment for two hours and 40 minutes. During this time the tea turns from a copper red color to dark brown. Onto the drying! 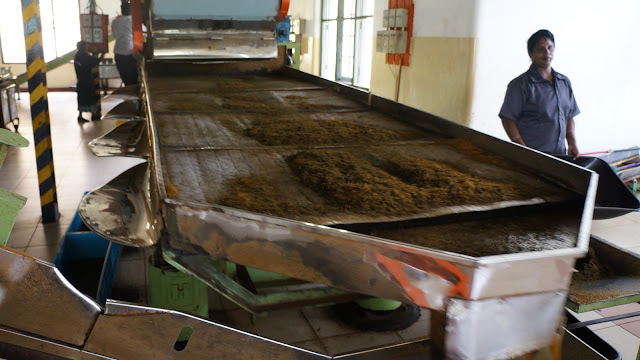 The tea particles are dried in large drying chambers and the fermentation is deactivated. This turns the tea into a jet-black color. 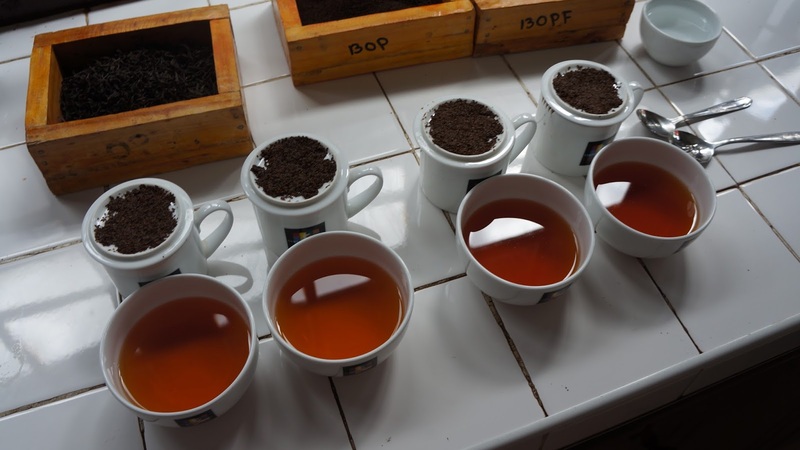 Then the tea is sifted and sorted again into “grades.” The finer particles are graded higher. The grade also determines the cost. 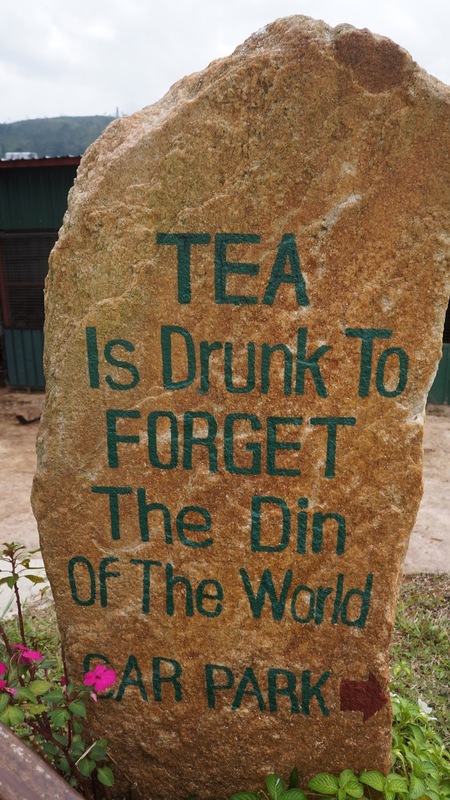 The Dunkeld tea goes to auction in Colombo where buyers will bid on the different types. 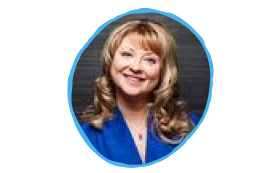 Demand determines cost and the weather dictates how much product the estate can produce. Tea grown in high elevations (5,000 – 6,000 feet above sea level) is known as “high-grown” tea and is regarded as the finest in the world.